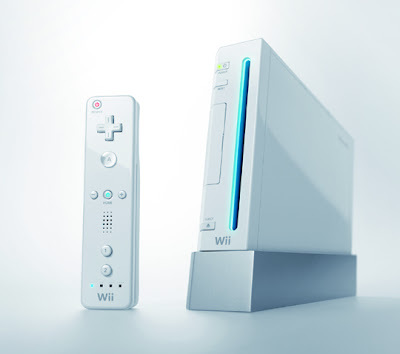 This month the Wii will pass the 50 million mark for consoles sold worldwide. This is a milestone and a record, the previous record was Playstation 2 which sold 50 million systems 8 months later than the Wii will. Yet developers are still treating the Wii like a 3rd tier system. Granted some are coming around in a big way like Sega, but others are trying to look like they are supporting the system in full force but aren't fooling anyone (Capcom, EA). So my suggestion to Third Parties is to support the Wii in full, or risk loosing more money or going out of business (Factor 5, Free Radical) by staying with Sony and Microsoft they are just wasting a lot of their resources. One way: Blame Nintendo. They disrupted the industry, and it's no wonder that everybody else is confused, receiving contradictory signals. Disruption does that. No one knows what to expect, so they try to reduce risk as best they can, according to their education and experience. We shall see in the end who was right and who survives. Another way: Blame the consumers. If consumers don't buy the games they are asking for, nobody will make new ones for them. As it stands, there are far less top selling "traditional" games on Wii than on the competitors' consoles. Game developers make what the publishers tell them to make (most of the time) and publishers want to sell games that sell, a lot. ""Nintendo keeps talking disruption while everyone either ignores these quotes or misinterpret ‘disruption’ to mean ‘change’ or ‘innovation’."" See? You are the Birdmen. You are the ones that see 'change' and 'innovation' when what is really going on is much more complex and confusing. The industry is speechless and mindless. And the analysts are worse. Slightly Off-Topic: I'm getting conflicting reports from Edge and IGN concerning Iwata addressing the third party software situation. Edge is claiming that Iwata said 73 one million unit sellers overall while IGN is saying 75 one million unit sellers for third party in the US alone. I cannot seem to find a video so I can clarify what Iwata said. Gamespot claims that it's 7 for DS and Wii for 2009.